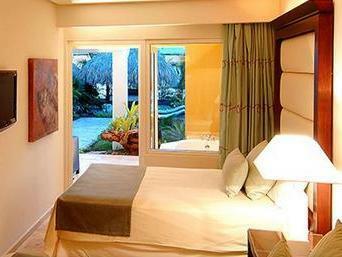 ﻿ Best Price on The Reserve at Paradisus Palma Real All Inclusive in Punta Cana + Reviews! Have a question for The Reserve at Paradisus Palma Real All Inclusive? 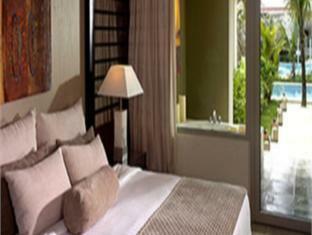 This luxurious residential suite community is ideally situated within The Reserve at Paradisus Palma Real All Inclusive. The hotel boasts a reputation for being a first-class tropical escape. The 184 suites are furnished with luxurious appointments that uplift the spirits and provide inner healing. To ensure that guests never get bored, the hotel offers a private beach, an exclusive swimming pool, as well as three a la carte restaurants and two bars for guests’ enjoyment. The Reserve at Paradisus Palma Real All Inclusive is ideal for travelers who are looking for a fabulous and relaxing vacation in a tropical setting. Please note that only children aged 5 to 12 years are allowed in the Kids Zone. Please note that due to safety reasons the Swim Up Suites are for adults only - no children allowed.